The U.S. barrier film market is forecast to grow 4.2% to $5.7 billion in 2021, driven by increased demand for high-performance films, as barrier requirements intensify across multiple markets. Improvements to processing technologies will support low-cost production and expand the range of suitable applications for barrier films, according to a new study from the Freedonia Group (Cleveland, OH). Demand for the oxygen and gas barrier film segment of the larger barrier film market is forecast to increase 4.1% annually to $4.1 billion in 2021, thanks to demand for higher performing gas barriers that prolong product lifespans. will be restrained by the relatively high cost of manufacturing new film structures, which can sometimes involve investment in new processing machinery. barrier packagingFood packaging accounts for the vast majority of barrier film demand—71% of the total in 2016—because of the ongoing shift from rigid to flexible food packaging. Strong incentives for producers, retailers and consumers to extend shelf life and reduce food waste, as well as a growing preference for fresher foods that use fewer preservatives, will continue to support demand for higher performing films, said the Freedonia Group’s study. 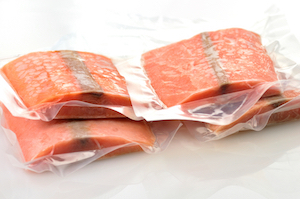 Flexible packaging formats such as stand-up pouches that accommodate consumers’ busy lifestyles will offer the best opportunities going forward. Other applications for gas barrier films include pharmaceutical packaging, agricultural silage and fumigation films, and protective films for photovoltaic modules, flexible electronics and other durable goods. Pharmaceutical and medical products, the second largest market after food packaging, accounted for 17% of total demand in 2016 and are expected to grow at a strong pace due to increased healthcare spending and new drug formulations that require higher barrier packaging. The pharmaceutical and medical products packaging market will see healthy growth through 2021 due to increased pharmaceutical shipments. Oxygen barriers protect the reactive constituents of medications and the nutritional content of vitamins and other supplements. Moreover, new drug formulations require higher barriers. For example, as the particle size of medications decreases to facilitate absorption in the body, a more robust oxygen barrier is required, said the Freedonia Group. The fastest growing resins through 2021 will strike a balance between cost and high performance. Above-average gains are expected for PET because of its versatility as a commodity resin that features moderately good barrier properties. For less rigorous applications, it can serve as the primary barrier layer. EVOH will grow faster than any other major resin type because it is an excellent gas barrier. Although it is expensive, a thin layer can achieve maximum barrier properties. Moreover, EVOH can be co-extruded with commodity resins on traditional processing equipment, eliminating the need for expensive technology updates. the issue of sustainability, Freedonia Group analyst Ellen Kriz told PlasticsToday that sustainability is particularly important in the food packaging market. “Eco-conscious. consumers are looking for food that’s good for the body in a package that’s good for the Earth,” she said. “Even consumers who don’t have sustainability at the forefront of their minds may be more drawn to a paper package simply because it does a better job of conveying that the contents are natural and healthful.